The Li family system contains eight different health and movement Arts. These are known collectively as “The Eight Strands of the Brocade” (also the name of a Chi Gong set). As the name suggests, woven together they can enhance the complex tapestry of the life of any individual, promoting physical health and safety and enhancing mental and spiritual well-being. The movement arts are taught in our classes. 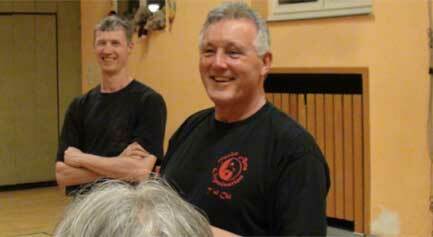 T’ai Chi Ch’uan means the Supreme Ultimate and is a complete martial and health art in itself. The other martial arts in the system: Feng Shou, Chi Shu and Shuai Jiao, each focus on one particular aspect of the system, sparring, grappling and locks and wrestling respectively. However each is developed out of the T’ai Chi which encompasses them all. The K’ai Men and Tao Yin are exercises both for health and to improve the individual’s ability to perform the movement arts.